Fall has officially begun and it's really starting to feel like it. September has been a beautiful month (up until this week!) and the days are crisp and cool. The saddest part of every September is saying goodbye to all the great summer Farmily members who are heading to their next adventure. We now have 67 staff members, down from 121 at the height of the season. The store is quieter and we have more time to focus on trying to bring in fall customers. 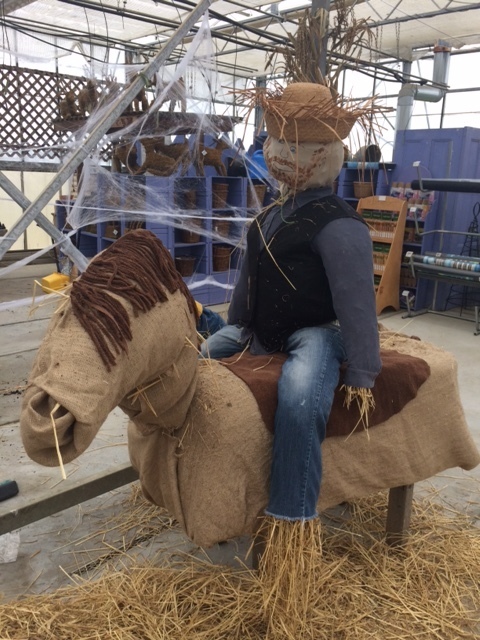 To that end, we are in the process of sprucing up the front of the market with new displays, more picnic tables, improved play area and a place for cart storage. 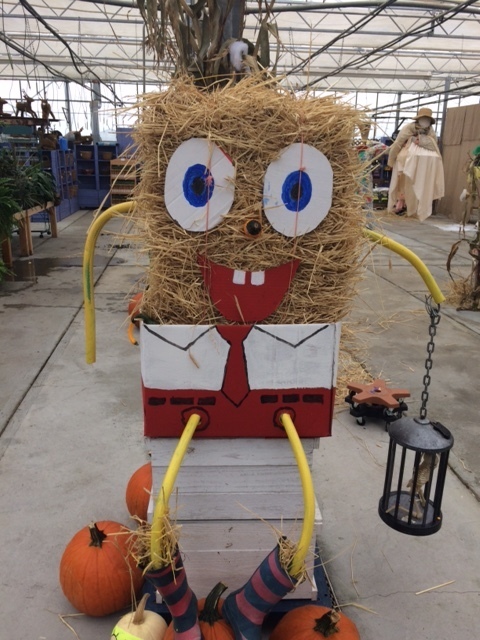 In the GC, Liz and crew are busy making scarecrows and encourage all employees to come by and make their own to help the GC stay festive looking. 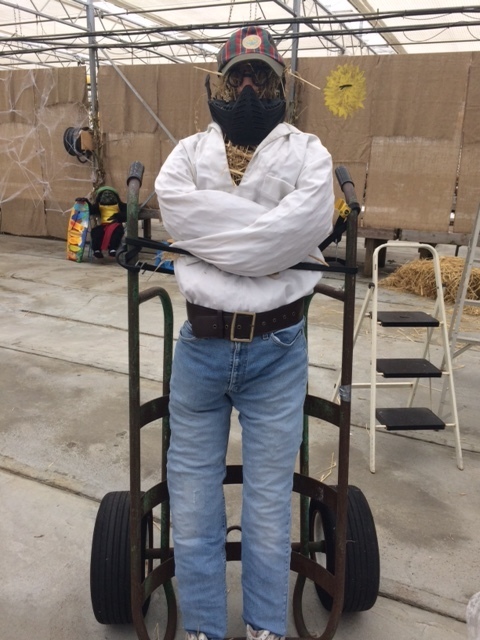 Be sure to check out Scarecrow: The Gathering. We've hired a few new staff members to help out this fall and winter so please welcome Kyra, Samantha, Kaylee and Bridget when you see them! 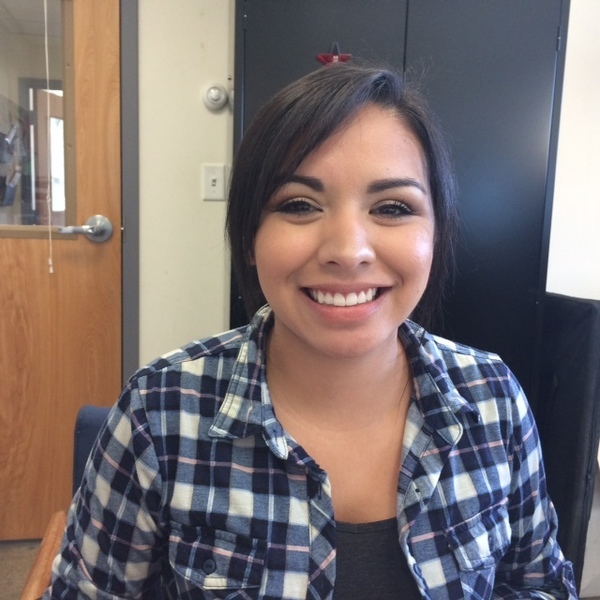 Kyra Huertas was hired as a Cashier and has already been promoted to Cashier Supervisor! Prior to the Farm she had spent the summer working for UPS and hopes to join the Peace Corps in the near future. 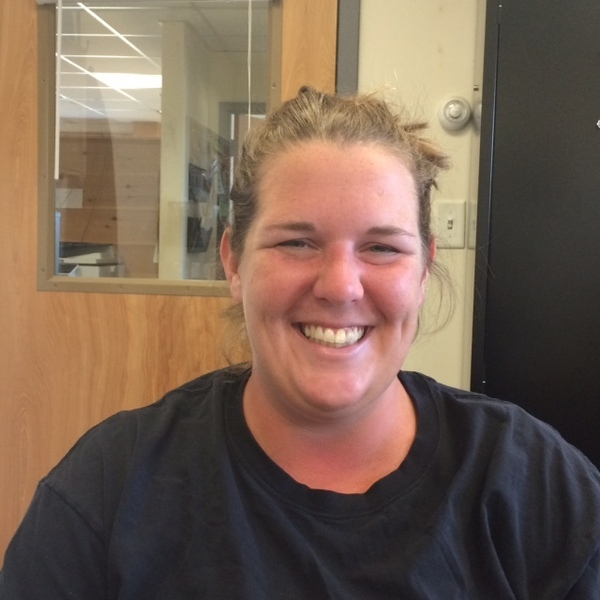 Samantha Love was also hired as a Cashier and was recently promoted to Cashier Supervisor. She's from Texas and is spending her first Fall on Nantucket. Kaylee Hesse is from Kansas, but moved to Nantucket 2 years ago and has been working as a Landscaper. She joins us in the market as a Stocker. 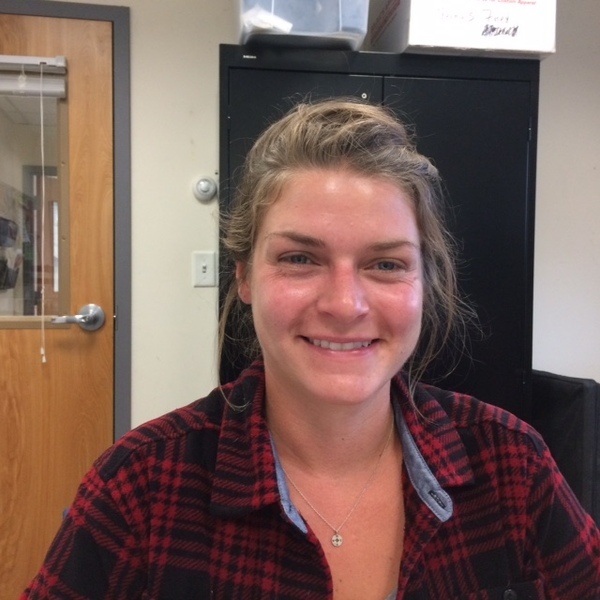 Bridget Curran is from Vermont and spent her summer as a guide for the Coskata-Coatue Wildlife Preserve. 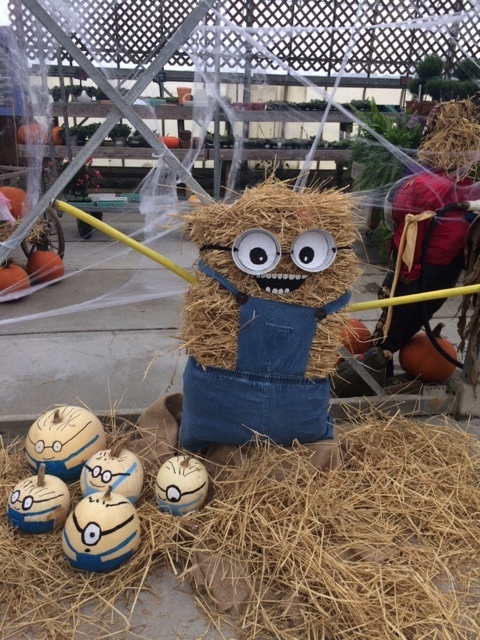 She's joined us for the fall as a Cashier. Where in the World is the Farmily? Antonio Mastrodomenico and Michael McGeown went on an epic road trip and drove 2000 miles along the West Coast from San Francisco through Yosemite park, Las Vegas and the mystic place, the Grand Canyon. Driving Back through the extraterrestrial Highway and Area 51, they managed 4 States in 8 days. They definitely saw some landscapes very different from Nantucket! Andrius Mikulenas, Arvydas Karbonskis and Andrew Ovsiukas traveled to Washington, DC and then met up with Isabel Bennett and Tim Flannery in New York City. Had a great experience working at the farm? Please review us on Glassdoor.com. We'd love it if you would take a moment to review on Glassdoor. Glassdoor is a leading destination for job seekers to research companies and decide if they want to work here. We also use employee feedback on Glassdoor to listen to you so that we can become a better company. It's important that our employees are providing continuous feedback on what it's like to work at so we can continue improving and attracting great talent like you. Your feedback is completely anonymous. Thank you very much. 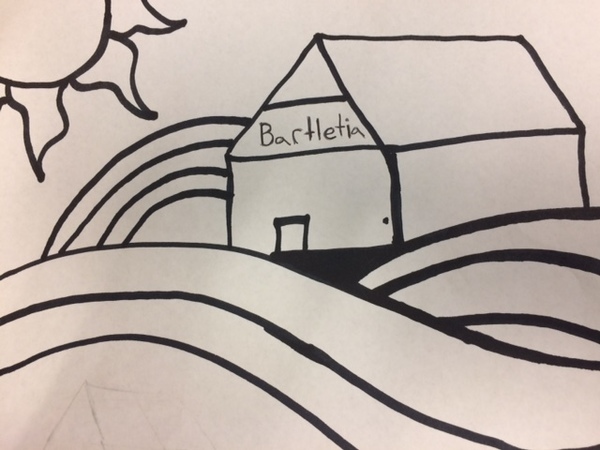 One of the newest Bartletia domains was the region simply known as The Basement. Many stocker tribes roamed the Basement until Chief L-Money united most of the southern stocker tribes under her iron fist. With most of the Basement’s tribes under her rule Chief L-Money crowned herself Queen Laurie I and created The Basement Kingdom. With loyal banner-men at her side, Queen Laurie reformed and modernized the kingdom. She brought: equal voting rights, the “Irish Music reform”, the metric system and also innovated the “Lists” system. With these changes Queen Laurie rejuvenated and almost doubled the kingdoms cart trade, food product export and paper import. As Emperor J. B. rules The Bartletia Empire, Queen Laurie reigns in The Basement Kingdom from its capital- Shipper City. The mayor of Shipper City is Dylan “The Rock” Johnson. 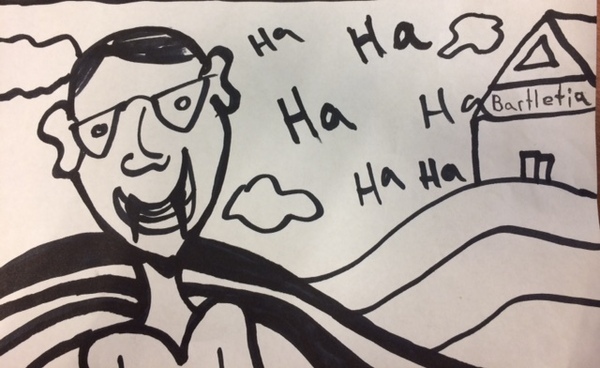 He oversees not only the day-to-day leadership of the city and acts as a medium between the city and the queen, but he is also the commander of the city’s defense. Dylan has defended the city for years against the invading northern stocker hordes and the expanding Kingdom of Cold, led by “Stone Cold” King Arvydas. It was this rock hard defense that earned Mayor Johnson the moniker “The Rock”. 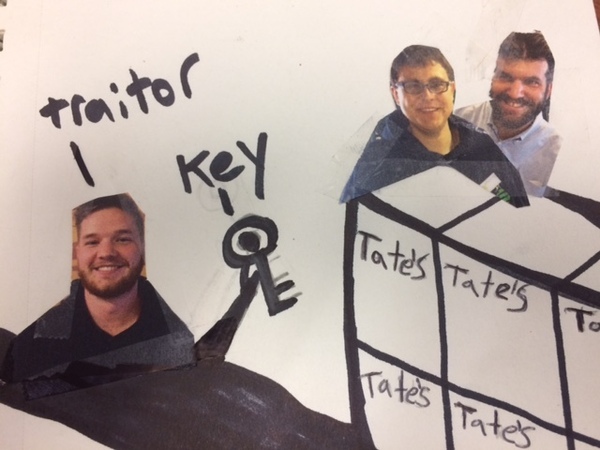 While it is true that the kingdom was always under threat, it was never truly in danger because of the Great Wall of Tate’s™. Try as they might, the enemies of Queen Laurie could never break through it. Queen Laurie was hailed as the sole savior of the city as well as the kingdom as a whole. This did not sit well with Mayor Dylan “The Rock” Johnson. He was outraged that the people had forgotten his victories at The Battle for The Staircase, The Battle at the Loading Docks and countless others. His feelings and his pride were both hurt, this envy and hate for Queen Laurie grew in him every day. His feelings grew into thoughts, his thoughts grew into words and finally his words grew into actions. One dark and cold night at the stroke of midnight “The Rock” sold his soul to the devil himself as he made a deal with The King of Cold, Arvydas. This betrayal was only possible because Queen Laurie had given Dylan the key to the gates of Shipper City’s Great Wall of Tate’s™. The key was supposed to symbolize Laurie’s trust and faith in “The Rock”, but he in it saw only power and opportunity. It was because of Dylan’s betrayal did The Great Wall of Tate’s fall and the kingdom, Shipper City and Laurie’s Pallet Palace came under siege of Arvydas’ army and giants- Jason Moldy and Andrew Stephens. The Basement Kingdom was under attack and in shock due to Mayor Dylan’s actions. Queen Laurie was especially devastated by the betrayal and the sight of her lands being ravaged by Arvydas’ armies. After the giants took control of the Drinks district she could take no more and when into a deep prayer. Meanwhile the kingdom was defended valiantly by Sir Maximus Decimus Meridius of House U-crane, Sir LeMar of House Jamaica and Dame LeRachel of House Ireland. The defenders fought courageously, but they were driven back to the Pallet Palace while the seemingly endless army of Arvydas was marching past The Great Wall of Tate’s™ into Shipper City. 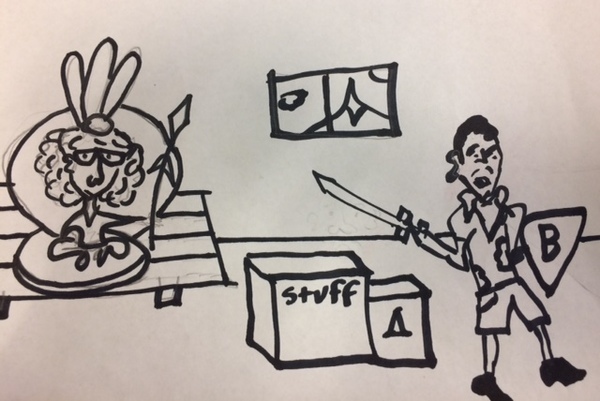 The army went through Slider Street and Bounty Boulevard™ on their way to the siege of Pallet Palace. But just when it seemed that all hope is lost, Queen Laurie’s prayer to Lynsey, the Goddess of Receiving, was heard. Emperor J.B.’s army, led by Lord Nick as well as Knights Zach and Mat, came to save the day just in time. They broke the siege and forced Arvydas’ army to withdraw completely out of The Basement Kingdom. The kingdom was overjoyed- people were celebrating, giving high-fives to friends and strangers alike. While all of this was happening, Queen Laurie rushed to meet and thank the saviors of the kingdom. “Our job is not yet done.” – said Knight Mat. “Yes, we came here to lift… the siege and put an end to Arvydas’ reign of terror.” – said Knight Zach. “He’s gonna get stuffed!” - added Lord Nick as he was stroking his mustache. “What are you working on? Preparing a camp? Better prepare for battle! “What?” - shouted Arvydas. “What is your location?” The King of Cold and his men were terrified because the answer to his question was-“Everywhere”. After days of marching, the Knight-led army not only caught up to them but also surrounded them. The retreating invaders were now forced to face the Imperial Army. The final battle saw the combined strength of the Imperial and Basement armies demolish Arvydas’ troops. With his army destroyed, Arvydas barely managed to escape into his Kingdom of Cold, but the turncoat, Dylan Johnson, was captured and for his crimes exiled to a very small house. One of my favorite tasks in autumn is harvesting winter squash. Like many farm jobs, it requires teamwork: clipping the squash off the vines by hand, filling up the crates and stacking them on the wagon. 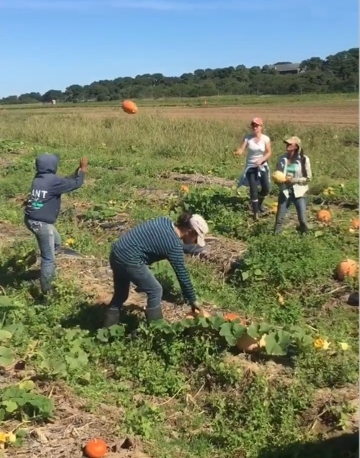 The field crew has a lot of fun working together and it’s very satisfying to look back on the field that was just covered with thousands of squash and is now all neat and clean. As much as I enjoy harvesting, the best part of growing winter squash is enjoying the fruit of our labor. We grow winter squash as annual crop; the seedlings are transplanted in the field at the end of May and the squash are harvested in the fall once they are fully ripened with a hard outer rind and a deep interior color. When the squash are mature, they can be stored during the winter for long periods. The main difference between summer squash and winter squash is the stage at which we harvest the fruit. Summer squash varieties are harvested when they are small and immature and the seeds aren’t fully developed. The rind is still soft and edible and the tender flesh only requires a bit of sautéing or grilling. Winter squash are fully mature, the rind is inedible and the flesh needs to be cooked longer in order to make it palatable. Squash is a crop that originated in the New World. Cultures in both North and South America grew squash and developed localized varieties. There are innumerable traits and characteristics that can be selected when breeding squash, which has lead to a very strong gene pool with hundreds of distinct varieties. Winter squash are in the genus Cucurbita, which also includes summer squash, pumpkins, melons, gourds, and cucumbers. 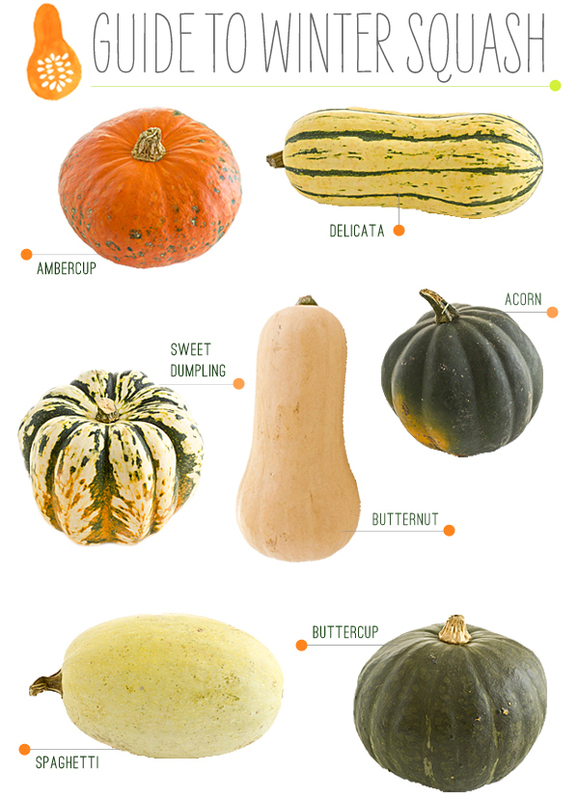 The varieties grown as winter squash fall into three species groups, with many subspecies. Cucurbita maxima includes Ambercup, Buttercup and Blue Hubbard, Cucurbita moschata includes Butternut and Long Island Cheese, and Cucurbita pepo includes Acorn, Carnival, Delicata and Sweet Dumpling. All the squash have subtly different flavors. Butternut will always be king, but the other varieties are delicious, too! Winter squash is a great source of vitamins and minerals during the colder months when we don’t eat as many fresh fruits and vegetables. Winter squash is packed with vitamins A and C, potassium, iron, manganese and dietary fiber. Squash are a versatile vegetable and can be prepared a number of ways. Butternut squash soup is an old stand-by, and stuffed Delicata squash is absolutely delicious (see Chef Neil’s recipe in the Bartlett’s Farm cookbook). I also like to make squash lasagna or just cut into cubes and roasted with salt and pepper. Winter squash is one of the wonderful tastes of fall on Nantucket, the perfect way to warm up on a cool, crisp day. There's a whole island out there! Saturday of Columbus Day weekend, (October 8th) is Nantucket's annual Cranberry Festival, so I wanted to share some images of what Cranberry harvesting looks like on Nantucket. Cranberries are grown in bogs and the when the berries are ripe, the bog is filled with water. Then a tractor-like piece of equipment is driven around the bog which shakes the berries off the bushes. The cranberries float to the top and are lassoed in and scooped up. It's a really cool thing to see, so stop out to the festival or the bogs to take a look! It's worth the trip! 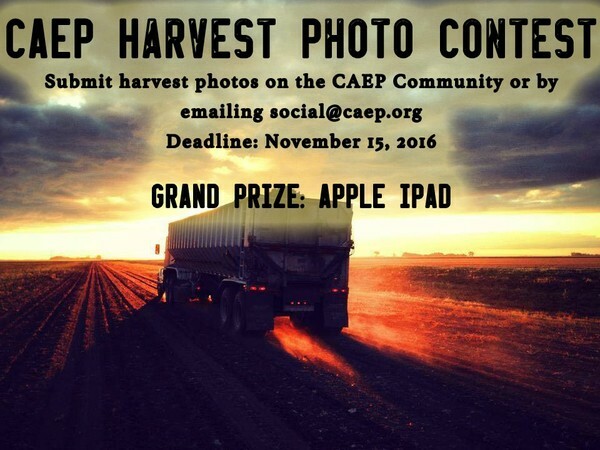 Submit your Farm photos for a chance to win and iPad! Keep sending me your work and/or travel pictures!